Since their introduction Deep Blue boat rods have built a cult following amongst discerning boat anglers looking for the best money can buy. Make no mistake, these are no 'US style -stand-up’ or ‘-trolling’ rods. The Deep Blue range was tested and triumphed, over a period of two years, to meet the exacting demands of UK boat anglers looking for perfection. When we upgraded the Deep Blue Titanium in 2015, fans were delighted. We retained the same blanks and sensitive tips that allow you to feel every bite, but elsewhere we improved on perfection. ALPS Titanium Guide Detail We now use ALPS solid Titanium guides throughout. The new Deep Blue'Titanium' Boat Rods use the new ALPS solid Titanium guides throughout. These innovative new guides are made from 100% Titanium for light weight and strength, so will simply never corrode, no matter how much abuse they are given. They also feature a ‘Ring-Lock’ system, whereby the Zirconium ring liners are locked in place and can never be knocked out. Finished in lustrous deep blue with subtle cross-whippings and decals plus the Fuji lightweight graphite reel seats and ALPS Titanium guides throughout, the Deep Blue Titanium range simply oozes class. Unlike most boat rods on the market, all rods of the Deep Blue range are accurately rated to IGFA line classes, so if we say it’s a 12lb class, it is. At 7ft 7in they offer the ideal length for the serious boat angler and include a model to suit all fishing situations. 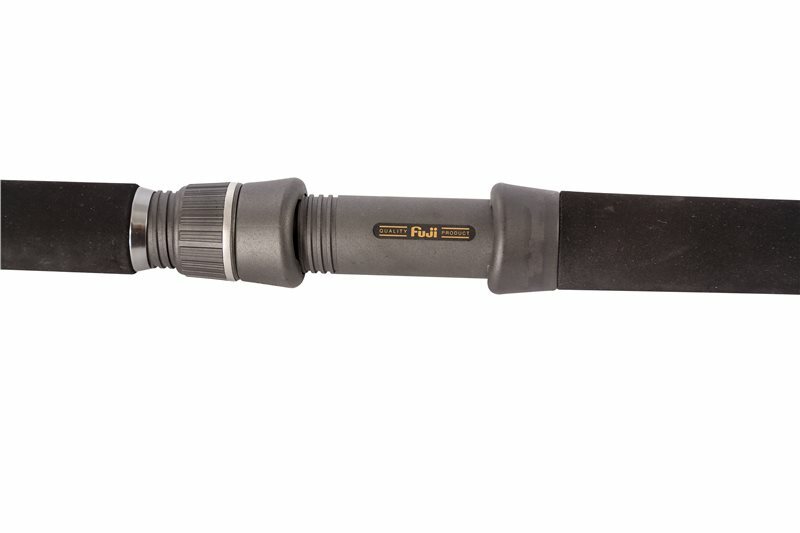 An ultra-sensitive inshore rod, ideal for bass, plaice, brill etc. Teamed up with the smallest Accurate or Deep Blue reel, this is undoubtedly the best lightweight outfit available. The 12lb is the perfect choice for the inshore angler fishing reefs and inshore drop-offs but with enough grunt for reef pollack etc. Without doubt the best ‘all-rounder’ in the range. The 20lb Deep Blue offers the seasoned boat angler the best of both worlds. Sensitive enough to fish inshore for bass etc, but with enough reserves of power to tame the hardest fighting wreck pollack. For the serious boat angler who predominantly fishes wrecks. It is a very powerful rod with lots of 'beef' and the only rod we use for our blue shark trips. More than enough power to haul monster Conger and Ling out of deep-water wrecks.